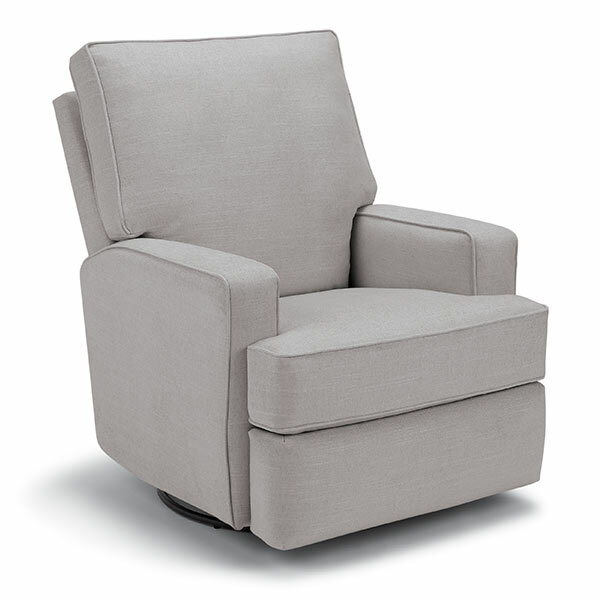 The Kersey swivel glider recliner is the ultimate in reclining comfort and versatility. Stylishly designed to appear as a club chair, the easy to use inside handle unveils the relaxing surprise. 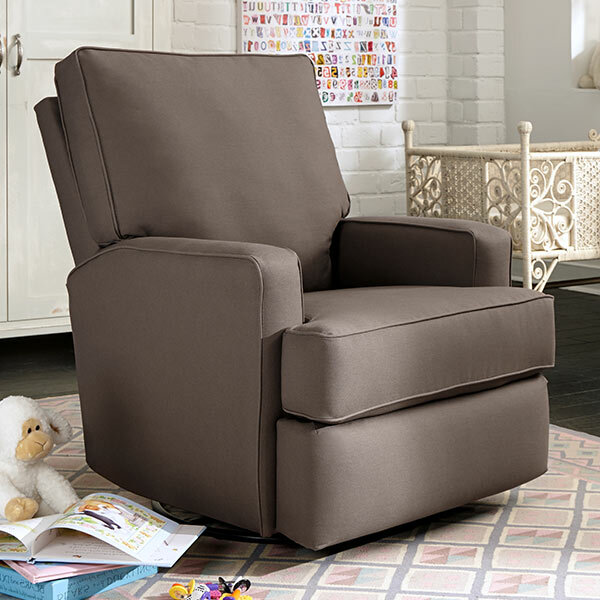 Whether its for your living room, nursery, or favorite reading nook, the Kersey recliner is the most ideal sitting spot. Made in the USA with superior craftsmanship, the Kersey swivel glider recliner features kiln-dried hardwood frame parts, heavily reinforced joints and premium cushioning fibers for long lasting comfort. Available in over 100 trendy fabrics, and built in one of the industry's shortest special order lead times, you'll have your style and your seat in no time!